This series of looped trails winds in and out of several hardwood hollows on the banks of Peruque Creek in western St. Charles County. Expect easy to moderate technical terrain with modest elevation gains. This park offers an excellent opportunity to introduce new riders to singletrack, yet allows enough technical riding to keep more experienced riders interested. There are several bail-out options in case novice riders find themselves in too deep. On the east side of the park, near the main trailhead, the terrain is somewhat rocky and wildlife sightings are common due to encroaching subdivisions on all sides. 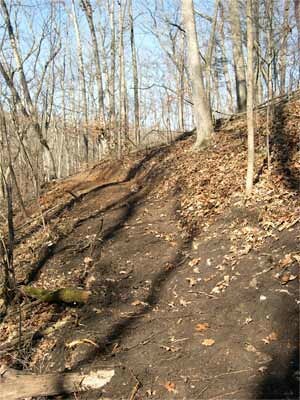 These trails encompass mostly short, moderately steep hill sections which can usually be ridden after a rain. 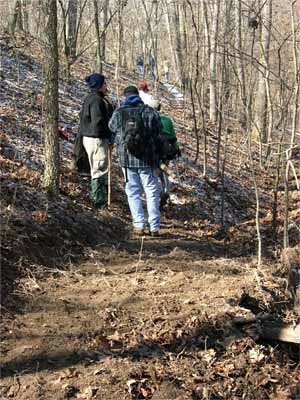 The western portion of the park is a mix of gently rolling hills and flat sections. 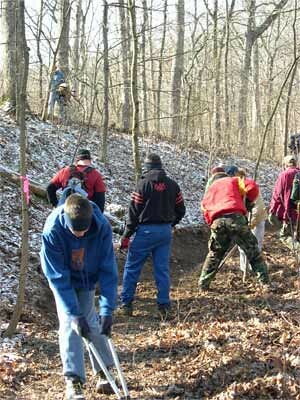 The flat sections next to the creek can be ridden fairly easily by the novice rider, but should be avoided when muddy. 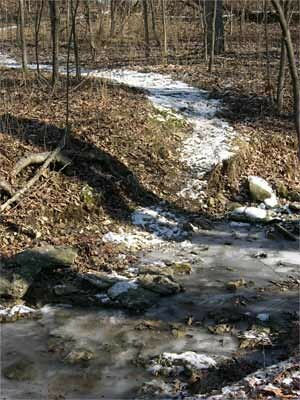 The 250 acre park features rolling pastures, wooded hillsides, and bottomlands near Peruque Creek. There are also paved trails that run throughout the park which offer additional opportunities to introduce someone to riding, or for riding after a rain when the natural surface trails aren't an option. This park is located on the south-west corner of the Interstate 70 and Hwy 40 intersection in Western St.Charles County. From Hwy 40 (just south of the Hwy 70/40 junction) turn west on Prospect Road (CorporatePkwy) and make an immediate right onto the outer road (Duello Road). Follow the outer road for approximately 1/2 mile and make a left into the park. 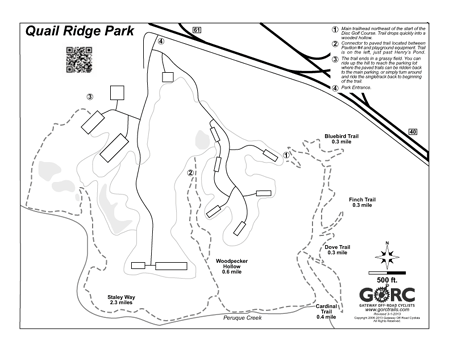 Once in the park, make an immediate left and the trailhead is about 1/4 mile on the left at the end of a parking lot. About three semi wet spot easy to avoid. 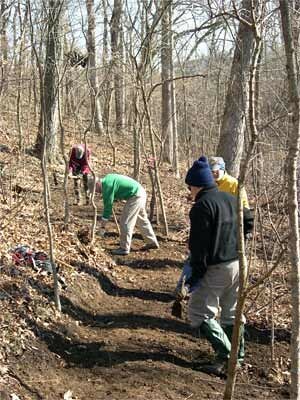 Trail is is great shape, get out and enjoy ! 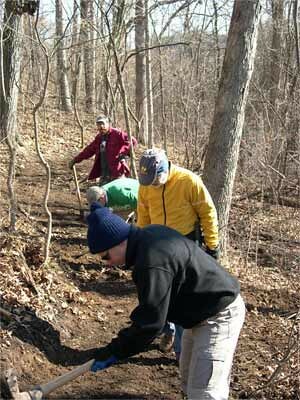 All trails GTG, so bring your bikes for after the workday on Saturday. The trail was in great condition at lunch time. Big tree down in the prairie section on the eastern side. Also, to the older gentleman in the red coat that I announced myself passing to you 4 times, turn your headphones down. Good shape. Rocky n rooty on the east side... woo-dang. Could use some tlc at a couple of the big dips on the east side. Maybe some more of the placement signage(maps). Lots of braided trail. Trail is in great shape. My forst time though it. I'll be back. Dirt is in great shape. Medium sized tree down on Dove Trail near the creek crossing.